We all have avid hikers, campers, and outdoor lovers in our lives, and some of them aren’t even all that smug about it, so we’ve rounded up some fantastic gear that will impress even the most decked-out survivalist. Who knows, maybe they’ll be so appreciative that they’ll even invite you on their 10 day backcountry hike in Saskatchewan in February. You can’t make it, you have a...thing, but it’s nice to be asked! Nobody can control the weather, but your giftee will barely mind the rain if they have a Marmot Precip. At under $100 in a variety of styles, it was the most affordable option in our reader poll, and it folds down into its own pocket so you can throw it in a backpack, which is great, bbecause it never rains when you remember to bring a raincoat. 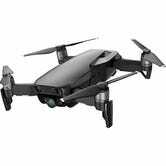 As one of DJI’s smallest drones, the Mavic Air will earn its place in anyone’s camping bag with a super-stable 4K camera, easy controls, and automatic flight modes that will capture your outdoor adventures from completely new angles. It even has front and rear obstacle avoidance to stop you from flying into a tree...or a person. The BioLite CampStove 2 is a wood-burning camp stove that charges your phone with fire. Yeah, seriously. You put sticks inside, light it, and let the built-in fans stoke your flames, which in turn charge a battery pack that can juice up your phone. 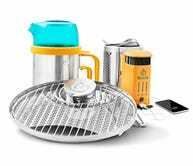 It’s also just a really, really good camp stove, so you can boil water, or even cook whatever you caught that day no matter where you are in the world, no propane required. These towels are made from recycled water bottles, which you can feel good about, but that’s not why you should buy them. No, buy them for the gorgeous designs and versatile, lightweight material that makes them great for everything from wiping off yoga sweat, to toweling off after a shower, to laying out on the beach. There are dozens of options available from simple patterns to elaborate national park drawings, so you can get a different one for everybody on your shopping list. Forget what you think you know about matches. 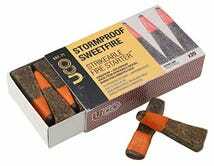 UCO’s stormproof matches burn longer, come in a water-resistant carrying case, and…wait for it…stay lit under water. Seriously, it’s true. Is this useful in any context other than impressing people? Debatable, but who cares! 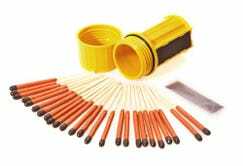 UCO uses a lot of the same materials in these large fire starters as well, which come with their own built-in kindling. 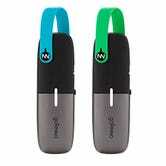 These little antennas clip to your bag or belt loop, and let you text and send GPS coordinates to your camping mates up to four miles away if you ever get separated, no cell tower required. I know, I know, you shouldn’t be texting during a camping trip, but it’s admissible in emergencies. 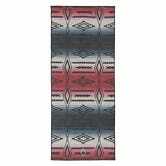 Whether you’re deep in the wilderness or just camping in your backyard, you’re going to need some illumination. Luminoodle rope lights can attach to your tent, or drape from tree branches to create instantly Instagrammable camp sites. 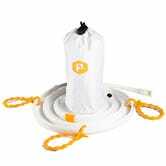 Or, if you’re feeling lazy, just stuff the rope into a translucent bag, and use it as a lantern. Some even run off USB battery packs, so you really can take them anywhere. Haven’t you heard? Lighters don’t need fuel anymore. 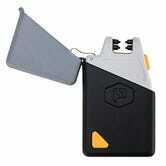 Arc lighters like the Sparkr Mini use electrical arcs instead of a flame to light kindling, candle wicks, and cigarettes on fire. It’s windproof, it won’t burn your fingers, and above all else it’s a great party trick. When it finally dies after a few hundred uses, you don’t throw it away; you just recharge it over USB. How about a gift that could literally save your friend’s life? 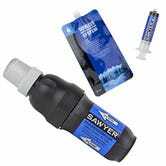 While you should always bring water with you camping, this Sawyer straw filter lets you drink straight from a pond or stream without fear, and it can even screw onto the top of a standard water bottle, or the included bag, for filtration on the go. I used it myself, and didn’t die! Our readers’ favorite backpack isn’t cheap, but the GORUCK GR1 is built to last a lifetime. And if for some reason it doesn’t, it comes with a lifetime warranty. It’s a military-spec backpack, and it’s marketed as such, but its clean design doesn’t look overly “tactical.” It’d fit in equally well in the city, or out in the backcountry. Arcade’s belts are lightweight, durable, stretchy, and even water resistant in some cases. They come in no shortage of great designs, and some can even be daisy chained to help you tote your gear.